Pay per click advertising is still the number one way for many many people around the world to monetize their websites, games and videos: just about anything. The reason for this will be different for every person: one PPC publisher may find that the contextually based adverts gains much more clicks than any other form of advertising online while another publisher may find PPC is a much more convenient and easy way to make money online. Either way, I still use PPC to monetize my website and although I have tried lots of competitors to Adsense, I have seen that over the years, I always seem to resort back to Adsense like it is my home for monetizing my website AskWillOnline.com. Why? Simple. Google are the biggest business in pay per click advertising. For this reason, I gain a sense of trust amongst Google because I know there are no scams or strings attached with using their program Adsense. It is risk free. Why do so many people become dissatisfied that they have been banned from Adsense then? It’s a great question. I have been in that situation in the past before. I was once banned from Adsense and like most people in the same situation as myself online, I was extremely angry and frustrated that Google could easily do that to me. However, after calming down, the reasons behind my ban made sense. Google was not being harsh or anything of the sort: in most cases, the ban from Adsense was brought on by the individual. The CPC for Adsense is truly amazing compared to, near about, every other PPC program out there. On average, I gain around a $0.80 for each click from an advert. Compare this to Ad Dynamo with cents per click, there is a big difference. Even Media.net are not even in the same league as Adsense. What is their secret? Adwords. Google has made their advertiser’s side to PPC a masterpiece – after all 95% of Google’s revenue comes from Adwords, it has to be good! By this, I mean the number of advertisers that are bidding to get their adverts based onto your website. I will refer back to Ad Dynamo again. After a week of using them, every time I went onto my website to see what the adverts looked like, I always found the same un-contextual advert there being Ad Dynamo’s own PPC advert (what a cheek!). This is never the case with Adsense. There are so many advertisers out there that you are extremely unlucky if the same advert appears on your website more than twice in one go. This means, ultimately, that your CTR will rocket because your web traffic is always seeing a different advert. Google Adsense is a reliable source of income for websites online. There are not many fluctuations. I would even go as far to say PPC and Adsense is more reliable than banner advertising and BuySellAds. The CTR is always pretty consistent which is a great trait to have in PPC. 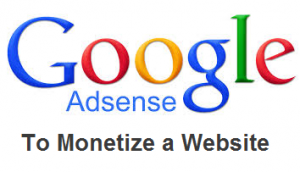 Why Are Adsense So Successful?